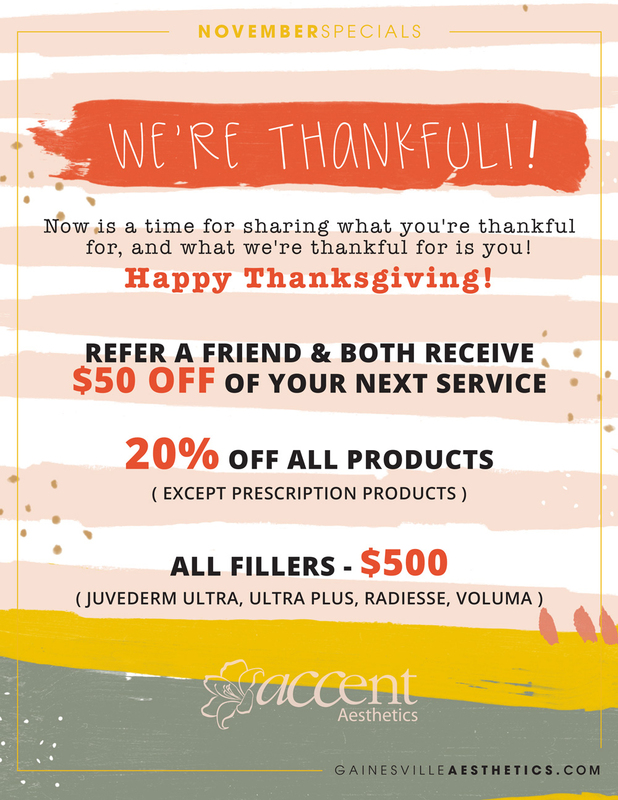 We have some great specials in November to show you how thankful we are! ???? Now is a time for sharing what you’re thankful for, and what we’re thankful for is you!! PreviousPrevious post:Boo! Scare Away the Signs of AgingNextNext post:‘Tis the season! Celebrate the Holidays with our Specials!